On the market there are a number of hair retention products that can stimulate and strengthen the hair and hair growth, but there is no guarantee, nor can medication treat every form of hair loss. It is important to work out the cause of hair loss before starting treatment and gain accurate information about the effects and possible side effects of drug therapy. The following opinion of alternative treatment options does not act as a recommendation but serves as a listing of the common alternatives. For hereditary hair loss Minoxidil has often proven to be effective. Originally developed as a drug to treat high blood pressure it was found in a stronger % to aid hair growth on the scalp, initially in a liquid solution and then later in a foam. The exact reason is not fully known but it is known that the substance can slow down the thinning of the hair and therefore hair loss and promote stronger hair growth. It can take around 3 months for it to take effect and within this time and increased shedding of hair can occur, prolonged use for around 12 months is required to assess how successful it can be. If the application is stopped the benefits will also stop and your hair will return to a state as if you had not used the treatment. Minoxidil can be used by men and women, with different dosages. The drug finasteride, which is used in higher doses against prostate enlargement in men is an approved treatment for hereditary hair loss in men. Finasteride affects the male hormone by blocking the formation of dihydrotestosterone (DHT) thereby preventing or slowing the increase in hair loss with the existing hair possibly growing back thicker. 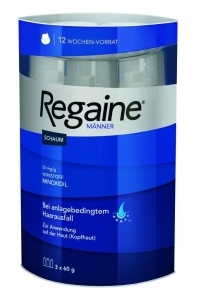 This again can take months and if the application is stopped the hair loss continues. The active ingredient is on prescription and does have serious side effects for some and Finasteride is not approved to be used by women. 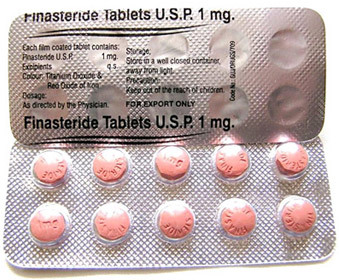 Pregnant women especially should avoid contact with finasteride since it can lead to a feminisation of a male foetus. With diffuse hair loss the treatment depends on the particular cause, some drugs are recognised as a caused, if so may be another drug can be prescribed. With an iron deficiency iron supplements can be recommended, also with a thyroid disorder. If the diet is a reason and possibly minoxidil can be applied. There are a number of cosmetic solutions that hide hair loss. Each of these solutions has specific advantages and disadvantages. Sometimes they may not look natural, or are expensive or cumbersome for everyday use. There are wigs and hairpieces made from real and synthetic hair that can give an appearance of a natural look and can only discover by very close examination. Sports activities are now possibly with this form of hair replacement but can be long term costly and maintenance-intensive needing specialist shops. 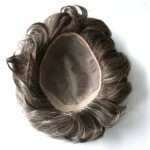 They can also damage the remaining hair due to the attachment of the hair replacement unit. This type of hair replacement can be used effectively for Chemotherapy patients in the short term, especially women, due to the hair loss caused by the therapy. Hats and scarves and other head coverings are well suited to bridge the transitional periods as you lose or regain your hair, obviously as a temporary help. They are applied quickly, cheap and can be fashionably attractive, but do have limitations such as playing sports, such as swimming. For fine, thin hair often sprays or concealers can be used to hide various forms of hair loss. Generally they consist of microfibers that are charged and can connect to the hair shaft with an immediate result. They are available in different colours and are also suitable for coloured and permed hair. After styling the hair, the concealer fibres are applied to the hair and held with a fixing spray until the next hair wash. These products are relatively short term and sometimes not suitable for sporting activities. Read here, which treatment approach Hattingen Hair suggests for an aesthetic hair transplant result.